Everybody seems to love the taste of one of the most picked foods by Americans, the Chicken Sandwich. And if you are a pleasure-seeker who is after the high-satisfaction granted by a yummy piece of chicken meat placed between two soft buns, then you definitely have got to go to the Chick-fil-A (that is, if you still haven’t placed it on the list of your fast-food favorites). Chick-fil-A has been capturing the hearts of millions of people as they continue to serve delicious, mouth-watering chicken sandwiches with the kind of quality that is able to outshine others in the same industry. Specializing on different chicken sandwiches, they make sure that those who visit them will leave with the happy thought that they’ve just had a taste of the world’s best chicken sandwich and making them say to themselves, “I will ‘eat mor chikin!”. Since its founding in 1946, Chick-fil-A has fixated on delicious, quality chicken sandwiches and strips, capturing a wholesome image along with the hearts of millions. Though many fixate on the controversy over the company’s conservative religious beliefs, it always delivers premium dining. For those who want to spice up the traditional experience, however, look for innovative hidden entrees on the Chick-fil-A Secret Menu. The first restaurant was opened was back in 1946, shortly after the end of the Second World War. This makes it one of the oldest chains in the United States and the world, and one that eclipses many other fried chicken chains in the United States. 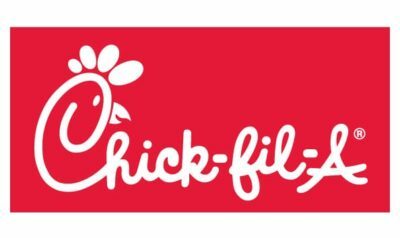 Chick-Fil-A is owned by S. Truett Cathy, a devout Christian whose beliefs have been instilled in the brand and has an impact on everything that it does. In fact, you could argue that these beliefs have damaged the brand’s profit margins, which just makes it more impressive that he has stuck by them. Is Chick-Fil-A Owned by a Mormon? This is a question we see a lot, but it seems that the owner is Christian, not Mormon. With the goal of providing top quality fast-food service to each and every one of their consumers, Chick-fil-A has been faithful in fulfilling their mission and, as a result, has been successful in delivering a dining experience that deserves to have a Rated A grade to their customers. Marked with the stamp of high quality customer-care, each employee of the Chick-fil-A is dedicated to provide excellent service. In return, many of us have fallen in love with their services along with the fact that Chick-fil-A has their own unique way of turning an ordinary chicken sandwich into something that is beyond extraordinary. Committed to serve chicken sandwiches that are perfectly crunchy, flavorful, and spicy, the perfect balance of taste has been incorporated in every bite of its food. When Truett Cathy had decided to open up a restaurant business in 1946, he decided to name it Dwarf Grill. An ordinary restaurant that serves fried chicken meat on a bun. The business started to thrive in its environment in Hapeville, Georgia and has been the source of good chicken meals for many of its customers. In 1961, after 15 years of serving quality food in his field of business, Mr. Truett discovered a way to produce the chicken sandwich twice as fast; the same time a fast-food burger is made, through a special pressure-fryer, thus marking the birth of Chick-fil-A. After his discovery, Truett decided to register his business as a legal entity and named it Chick-fil-A, banking on their home made slogan, “We Didn’t Invent the Chicken, Just the Chicken Sandwich.”, which refers to the newly discovered fast-cooked chicken sandwich. The story of how Chick-fil-A got its name had a certain twist on it. At first, Truett had some difficulty finding a name that would fit his creation. He then decided to call it a “chicken steak sandwich” but still was not satisfied. He believed that his creation deserves to have a better name. After thinking it over, he realized that his creation had the same quality of a “fillet” (in which at that time, only referred to a high quality cut of beef). Mr. Truett then granted himself the pleasure of calling the chicken placed in his sandwiches a “chicken fillet” and decided to come up with the name of Chick-fil-A. The capital A does not stand for the word ‘America’ which must have been a common mistake. Instead, Mr Truett decided to incorporate the letter A because it was meant to connote high quality foods and services from his fast-food business in which it came not only as a statement but a strong business goal that they have lived on up to the present. A food court located inside the Greenbriar Mall in Atlanta housed the first Chick-fil-A in 1967. During its first business years in the 1970s and the early ‘80s, the Chick-fil-A grew by expanding by means of franchise in food courts inside suburban malls. Then in 1986, Chick-fil-A opened its first independent franchise store and has been continuing to do so instead of renting a place inside the food court of a mall. Since then, many people came to love what Chick-fil-A has been serving on their plates. As of 2012, Chick-fil-A has over 1o00+ standalone locations and still is growing. What started as a “Dwarf Grill” is now a big-time giant supplier of chicken sandwiches. It really is an amazing thing to see that all big things had humble beginnings. And for Mr. Truett Cathy, he just focused on a big dream that made a dwarf turn into the Chick-fil-A giant that it is today, one that rivals the likes of Taco Bell, Pizza Hut and even McDonalds. When one hears the word “Chick-fil-A”, one cannot help but think of Chicken Sandwiches. And that is the why Chick-fil-A is loved by many. The Chick-fil-A menu is full of mouth-watering dishes from juicy sandwiches, nuggets, strips and even desserts that when it comes to Chicken, you know where you need to go. First on the list are the most loved item by food hunters and definitely a longtime favorite by many, the Original Chicken Sandwich which is crispy, juicy and flavorful altogether. The perfect blend that makes our palettes screams with pleasure. They also serve their tender and crispy Nuggets taking the second place on their chart toppers, a definite must-try for those who haven’t yet. And who would not love their signature dish the Waffle Fries which, once tasted, will make make you crave for more. That being said, everything on the Chick-fil-A menu is definitely enough to satisfy your cravings for chicken! Now if you are going in for a healthy dish, Chick-fil-A serves wraps and salads that contain a balanced portion of calories that is perfect for the health-conscious consumer. A grilled Chicken Cool Wrap contains flaxseed flour flat bread with chopped romaine lettuce, red cabbage, carrots and cheeses. This healthy dish will surely leave your taste buds happy and satisfied. And if you don’t want it grilled, you can have the Chicken Caesar Cool Wrap or the Spicy Chicken Cool Wrap. Either way, you can have the assurance that every wrap they serve is 100% healthy and delicious. And finally, after chomping off your yummy and delicious meal, you can top it all of with some favorite desserts. Chick-fil-A serves a variety of Milkshakes. You can choose between a Chocolate, a Strawberry or a Cookies and Cream Milkshake. Not only that, they also serve Icedream, an icecream that will make you feel dreamy. And if you are not into cold sweets, then you’ll learn to love their Cheesecake, Fudge Nut Brownie and Lemon Pie. Enough said, you’ll definitely return again and again for another taste of Chick-fil-A’s dishes. Now speaking of Chick-fil-A’s dishes, only a few knows that you can avail of a Quesadilla packed with tender chicken, tons of cheese and sometimes pepper inside a flour tortilla that screams of Mexican perfection. The chance of getting your hands on one can be difficult though, but no matter where you are, you can always ask and who knows? You might just receive. Also available on the Chick-fil-A secret menu is a food that will appeal to the health conscious. A Fried Chicken Club, a chicken sandwich that has veggies on it. You can always give it a try, and in case the food staff doesn’t know what a Fried Chicken Club is, just ask for some veggies on your sandwich and most of the time they’ll oblige. If you want to know more about the hidden entrees of the Chick-fil-A menu, you can check if directly to Chick-fil-A secret menuwebsite. Though Chick-fil-A serves food that is suitable for the health conscious, and many may think that Chicken meat is the healthier when compared to other meat products, you still might want to consider counting the calories of what you are about to eat in order for you to keep your diet in check. Their original Chicken Sandwich contains 430 cals which is quite considerable if you are on a free-diet. If you want to see the complete list of calories that each item contains, you can always visit the the Chick-fil-A nutrition website for you to find out more. A lot can be found inside the list of Chick-fil-A menus but it can sometimes cost you but you can be assured of the fact that you’ll get the value of what you pay for. If you want to know more, just check Chick-fil-A menu prices to find out more. Chick-fil-A is almost everywhere in the United States so that means that you can easily find one especially if you are located in a busy street where many people comes to eat. They currently have over 1800 branches located all over the US and is still growing, with an estimated number of 100 stores opening per year. And if you are wondering if there is a Chick-fil-A near you, you can always check the site over the internet and what you can find. Chick-fil-A stores are open usually open from 06:00AM up till midnight, and because of their conservative corporate culture, you can expect that they are closed on Sundays and every Christian holiday like Christmas and Easter. Their website is available if you are looking for the exact hours of the Chick-fil-A near you. Providing “today” (sorry we don’t know what actual day it is, we’re not that good. We would take a stab and say Saturday, just to impress you if we got it right, but we’re going to be wrong 6 times out of 7) is not a Sunday or a holiday then it should be. In fact, Chick-Fil-A is closed on many holidays. Just check our page on Which Restaurants are Open on US Holidays to learn what is open when. Very few locations are open before 6:30am, but there are a number of locations that are open at 6:00am. As far as we know, Chick-Fil-A never opens prior to this time. What Time Does Chick-Fil-A Close? Chick-Fil-A often closes at 10:00pm. But as with everything mentioned above, the time that Chick-Fil-A closes will differ from location to location, albeit rarely by more than an hour either way. Is Chick-Fil-A Open on Sundays? No! It’s a surprise, we know, but it’s true. They are also closed on many public holidays. It seems like Chick-Fil-A and Sundays, and indeed Chick-Fil-A and holidays, just do not mix as well as other fast food chains. Chick-Fil-A are closed on Sundays because their owner is a very religious person and he follows the dogma of his religion to a tee. This has annoyed many customers, it has turned countless diners away from the brand and it has no doubt lost them a lot of money over the years, but the chain is steadfast on this issue. 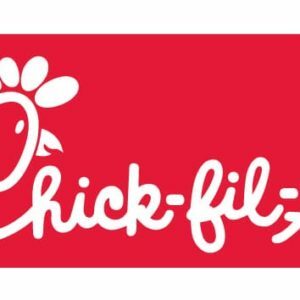 Chick-fil-A carefully selects executive employees and gets 10,000 to 25,000 applicants per year in order to fill 60 to 70 open slots. The company’s selection process takes up more than a dozen interviews. All of this is because Chick-fil-A stands up to what it believes to be a very solid foundation and seeks to have all of its employees to be examples of excellence not just in their jobs but also inside the community. But if you are interested for an in-store position, you might be in luck as some franchisors have their own way of hiring. You can choose between three options; apply through Startwire, apply online through their hiring website, or you can just visit a Chick-fil-A store and see if they have a job opening. You can also check their website for the needed requirements in the job application process. What Age Does Chick-Fil-A Hire? Chick-Fil-A hires relatively young, as you only need to be 16 to be considered. In fact, they have a Teen Job Position which they have filled with countless 16 and 17 year olds over the years, giving them their start in the food industry and in the working world in general. There are a lot of questions being asked about whether fast food chains drug test before hiring or after hiring. These are low-paying jobs with a high turnover. There is no need for them to drug test and it’s not an expense that these chains want to have. So no, Chick-Fil-A do not drug test, and neither do all other fast food chains out there. You can use free Wi-Fi in most, if not all Chick-Fil-A locations. This has made it a popular choice with students and with anyone else looking to latch onto some free internet. Just bear in mind that free Wi-Fi is often a target for hackers using malicious programs. So, stay safe and don’t access sensitive financial accounts.